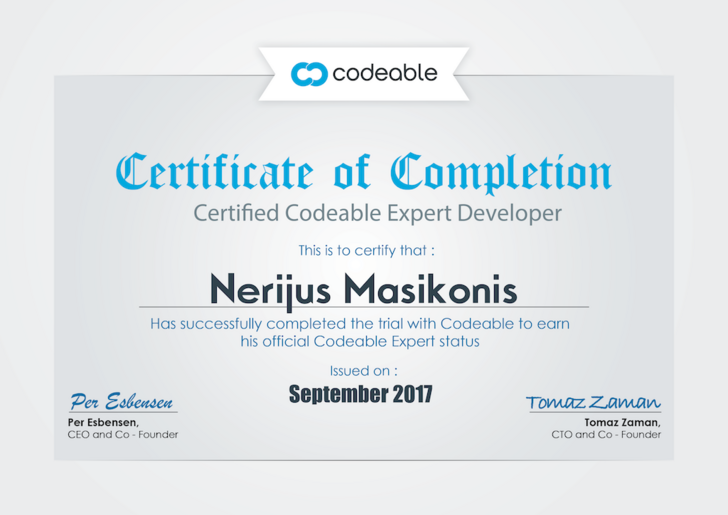 My name is Nerijus Masikonis, I’m a full-stack WordPress developer based in Lithuania, Europe, working worldwide. I created my first website in 2004 and I’ve continued to create even more complex ones as my education and skill set grew. Very responsive, asks good questions. Has great suggestions and in the end just gets the job done. On to the next one. Impeccable work ethics, very knowledgeable and a joy to work with! Great communication, clear explanation. Every task was completed very quickly and did not need a ton of guidance. Very happy with the results. (Update) Nerijus has gone above and beyond my expectations and I’m so grateful to have his support throughout this project. He is thorough, precise, and has been readily available to answer any of my questions or complete any task, big or small. I’m happy to say he’s the only developer we’ve had come on board and I’ll certainly be reaching out for any future needs. Excellent work and patience appreciated! Nerijus is a very patient and thorough communicator. Nerijus was quick to respond, very clear with his communications and went above and beyond the call of duty. I'll be happy to work with him again. Nerijus is always a pleasure to work with; quick to complete our work and understands instruction very well.